Presenting Lenore: Dr. Seuss Classic Tour: There's A Wocket in My Pocket! 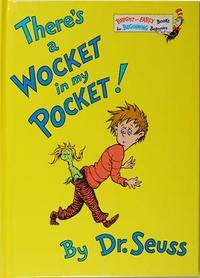 Dr. Seuss Classic Tour: There's A Wocket in My Pocket! 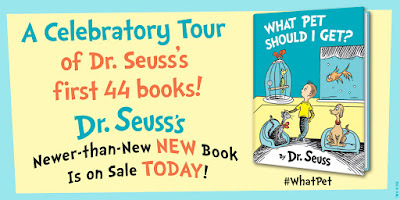 Dr. Seuss has a new book out - WHAT PET SHOULD I GET? I'm talking about THERE'S A WOCKET IN MY POCKET today. Because I always had a fondness for nonsense rhyming words, I continue to enjoy the rowdy fun of this book. It doesn't have a plot, but it has a great rhythm for reading aloud. What are YOUR favorite Seuss books? My nephew always liked this one, but Green Eggs and Ham was his and my niece's fave.